We are just wrapping up the end of a fabulous weekend in Toronto. It was an extraordinarily busy one for me -- a long and tough loss at the Blue Jay game on Friday, two delicious turkey dinners, an afternoon at the fair and a nice walk in the local forest AND an outstanding Shania Twain concert Sunday night. Plus the weather was glorious all weekend. Definitely many reasons to give thanks and celebrate. We are so fortunate and it was a wonderful weekend to pause (amid the busy) and recognize just how lucky we are. During one of those pauses today, Isabelle and I decided to get crafty. Now that Thanksgiving is beyond us, Halloween is just around the corner. Hasbro is my go-to for Halloween related toys and treats. Just this week, I received the Doh-Vinci Halloween Kit in the mail, and I thought today was the perfect opportunity to play. So what is it exactly? 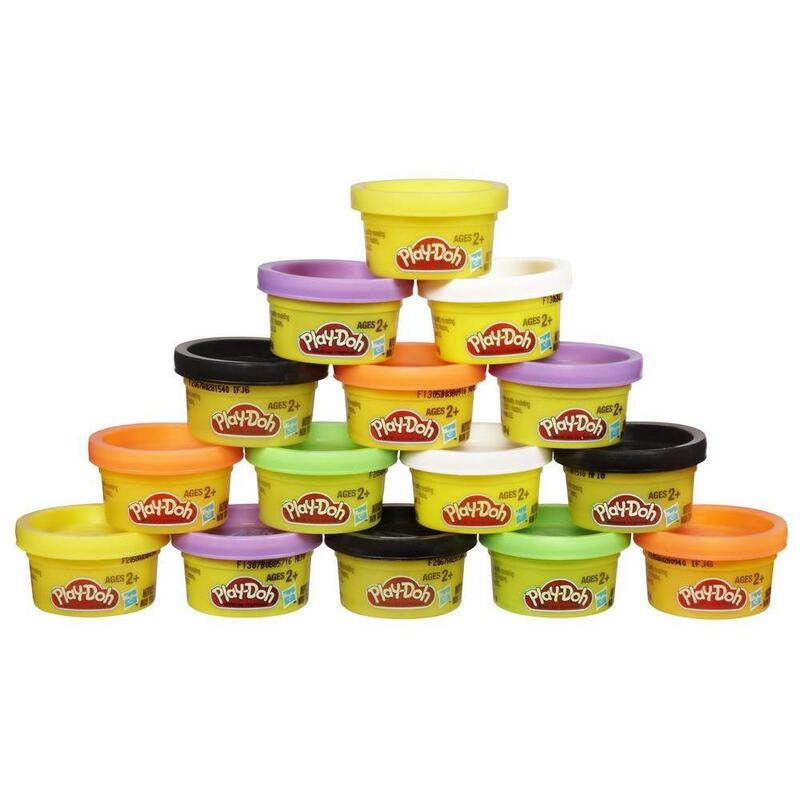 Doh-Vinci is a Play-Doh product that allows kids to be artists. This Halloween kit is seriously cool. It comes with 4 Doh colours, a doh gun, and various pumpkin stencils. All you do is trace the pattern onto the pumpkin (firmly so you leave an imprint on the pumpkin), insert the doh into the gun and squeeze to apply. Once you get going, this is fun, fun, fun. It reminded me of cake decorating, actually. 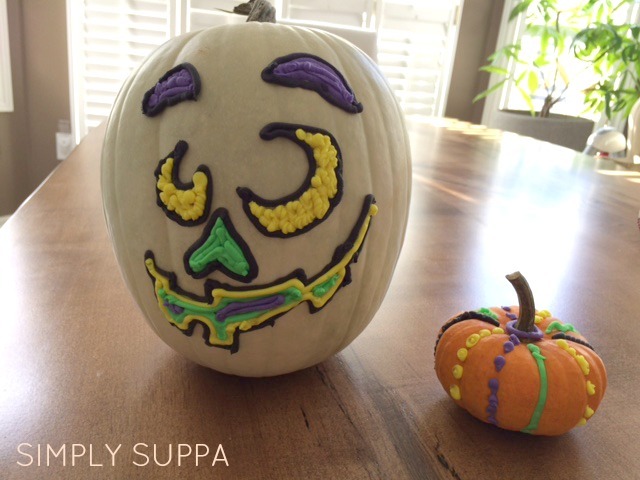 You can use different techniques -- dots, ribbon, lines -- to create unique 3D effects onto the pumpkin. Because it's not a paint product, it doesn't need to dry and you can adjust the shape with your fingertips if you need to. Of course, you can print your own image and create all sorts of designs and patterns, or freestyle! 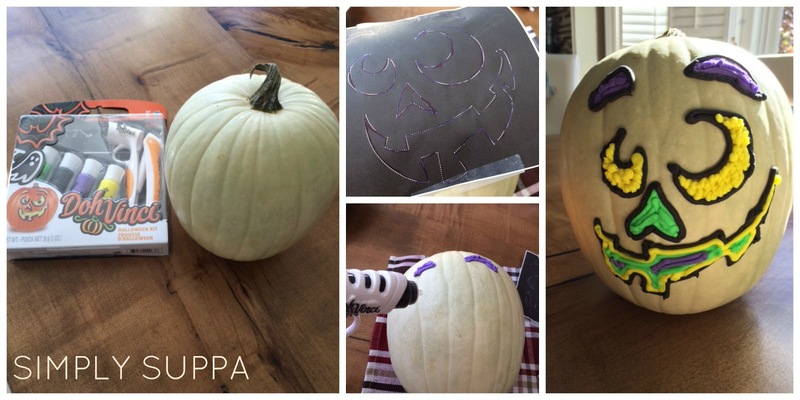 I also had a mini pumpkin, so Isabelle had a blast adding various coloured dots in the grooves of the gourd. I'd say this kit is best suited for kids 6+, because it was a bit tricky for Isabelle to trigger the compound out, but with a little help she really got the hang of it. And it's simple to load and has very little to no clean up. I was so impressed with this product -- I've never tried Doh-Vinci or anything like it before and I LOVED it. Play-Doh also makes these great Halloween bags with 15 mini pots of Halloween Play-Doh. I plan on giving one to each kid at Isabelle's daycare -- it's useful, affordable and kids love it. And it's not sugar! Play-Doh and Doh-Vinci products are available at most toy stores. For more info, visit the website. Just bought the Doh-Vinci Halloween, not too sure who's more excited, me or my boys.